We all have unique reasons for becoming an educator and an individual journey to get us there. Kamaljit Sidhu knew early on she wanted to make a difference in the lives of youth. At 18 years old she began her journey as a Youth Care Worker, first in Prince George, and then in East Vancouver. Kam’s role as a Youth Care Worker moved her to become an Educational Assistant with the Vancouver School District, where she spearheaded funding to open a Snoezelen (Multi-Sensory Room) at her elementary school. During this time, Kam worked closely with a classroom teacher who became her mentor. Her mentor inspired Kam to pursue her degree in education, as Kam wanted to be a teacher who met the individual needs of all her students. Kam joined the Abbotsford School District as a teacher in 2009. 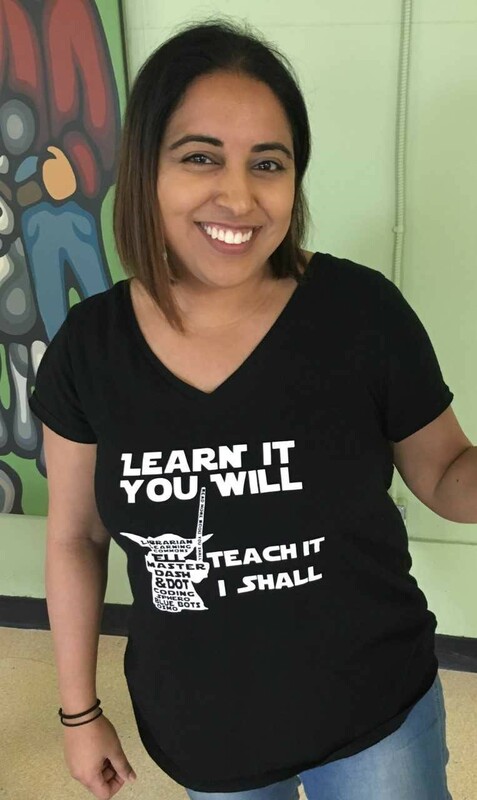 Over the years Kam has worn many different hats: kindergarten through to grade three teacher, ELL teacher, LSS teacher, and LLC teacher. Kam currently divides her time as an ELL teacher at King Traditional Elementary and an ELL and LLC teacher at Upper Sumas Elementary. As the Library Learning Commons teacher at Upper Sumas, Kam embraces the spirit of collaboration, working with her colleagues to create learning opportunities for students that are incredibly engaging and hands-on. Whether it’s through coding, makerspace or STEM challenges, Kam helps students develop their teamwork, creative thinking, and problem-solving skills. Kam views her role as an educator as one who motivates and inspires students; one who instills a love of learning in all. This is evident in her infectious positive attitude and generous, compassionate heart. Organizing a student talent show, a used book swap (so every child can own at least one book they love), and a family pumpkin decorating challenge, are just some of the ways Kam spreads her joy throughout the school community. Thank you, Kam, for loving and supporting all students, for recognizing what students need, and teaching the whole child. Your genuine connections make a difference in the lives of others!